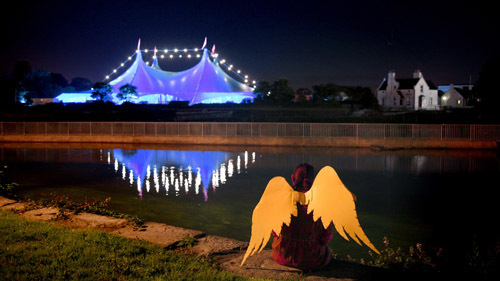 Galway Arts Festival is Ireland’s largest international arts festival. Founded in 1978 it has grown into an event with a significant reputation where, in 2012, there were 163,548 attendances at 160 performances, talks and exhibitions in 27 venues over 14 days. The Festival showcases a wide variety of international artists alongside the best of Irish talent and includes music (popular, contemporary, jazz, world, classical and traditional), theatre (indoor and outdoor), visual arts, dance, talks, discussions, family events and comedy in its programme. The Festival has consolidated its reputation nationally and internationally and continues to develop its profile through the international media and attracts 27% of its audience from abroad. It has developed a profile within the ‘festival world’ where it now is viewed as operating on an international circuit, with a reputation equal to that of much larger international festivals. The Festival has contributed hugely to placing Galway firmly on the map as both a key cultural centre for the arts and cultural tourism destination. In addition the Festival has founded and acted as a seedbed for a number of well known and established arts organisations in Galway. Highlights from the programme in recent years included, Primal Scream, Philip Glass, New York Dolls, David Gray, David Byrne, Brad Mehldau, Blondie, Kronos Quartet, Brodsky Quartet, Bon Iver, David Hockney, Joni Mitchell, Henri Matisse amongst others.